Posted under Health Guides. Updated 21 August 2017. Many people know that identity theft is a national problem. However, did you know that identity theft is more common among kids, teenagers, and college students than any other age group? In fact, a Carnegie Mellon University study of more than 40,000 children found that kids under the age of 18 were twice as likely as their parents to be victims of identity theft. According to the Federal Trade Commission (FTC), it is a felony offense, where a fraud or scam is committed or attempted by using another person’s identifying information without their permission. Identity thieves don’t need much information to steal someone’s identity. A name, address, Social Security Number, and birth date are more than enough for a stranger to pretend to be you. Identity thieves prefer to steal a teen or college student’s identity because they usually have blank credit reports. Hack into your computers or phones, which contain a lot of personal information and passwords, and steal the data. Send a real looking email that directs you to a phony website and asks for your personal and financial information (commonly referred to as phishing). Steal your purse or wallet, which contains your debit and identification cards. Thieves don’t just want your cash; they also want your license, debit and credit cards, and your Social Security Number. 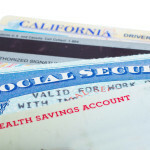 Most people don’t think identity theft will happen to them. Unless you check your credit scores often, identity thieves can go unnoticed for a long time. You may not become aware that something is wrong until you apply for a student loan or your first credit card. Never give out your Social Security Number, driver’s license number, birth date, home address, or other personal information to anyone except your parent(s) or guardian. If you are asked to provide personal information online or by phone, you should find out why the information is needed and how that information will be used. Before you agree to give out any personal information for any reason, talk to your parent(s) or guardian(s) or a trusted adult. Shred any documents that contain personal information, such as your social security number, date of birth, or account numbers before throwing them in the trash. As you get older, you will likely be getting a lot of credit card offers in the mail so make sure you shred those offers instead of simply tossing them away. Activate your password and key lock feature on your cell phone, laptop, computer, and tablet. Change your passwords often, and make sure to choose a long password that is a combination of numbers and letters, and is difficult enough that no one will guess it. Be sure to use a different password for every website or social media account, and never share your password with anyone other than your parents or a trusted adult—not even with your best friend, or partner. Do not share your personal information, such as your home address and birth date, on social media such as Facebook, Twitter, Instagram, and others. Disclose information only on trustworthy websites. If you have to give personal information, such as when online shopping or banking, make sure the website is secure. Be careful when using public Wifi. Public WiFi, like that available in coffee shops, is not secure. When connected to public WiFi, do not do any online banking or other activities that require sharing personal information such as passwords. Make your social networking websites private and do not rely on default settings. Carry only what you need in your wallet, such as your credit card and identification cards. Never carry your social security card. Keep your personal information in a safe place and out of sight. Memorize your PIN for your ATM card. Carrying anything in your wallet with your pin number is risky. Check your annual credit reports or ask your parent(s) or guardian(s) for their help to obtain them. The credit reports will show any unusual activity which might mean that someone has created a credit card in your name. There is a federal law, which allows you to obtain a free credit report once a year. You can request credit reports from annualcreditreport.com or call 877-322-8228. Tell a parent(s), guardian or other trusted adult immediately. Call one of the three major credit-reporting companies (Experian, Equifax, or TransUnion). The agency will not only notify the other two agencies, they will also place a fraud alert on your account. Call your credit card company if you notice any chargers on your bill that you did not make. Close any accounts or credit cards that you know have been used by identity thieves. File a complaint with the Federal Trade Commission (FTC). The FTC has a database that the police use to find identity thieves. The FTC can help you find out what the next steps are. The FTC toll free hotline is: 877-IDTHEFT. If you think you’re a victim of identity theft, it’s very important to tell a parent, guardian or a trusted adult right way. Most of the time identity theft can be stopped but you’ll need to act quickly.